Profiles: [Picture] • Who We Are • Our Service • Why? “ LEADERSHIP “ – Induction, by Alan Lamson, former Society President. Jan. 5, 2019. LEADERSHIP. An elusive if not mixed term of a state of being that impacts others. It occurs all around us and in many cases despite us. In our barbershop experience we see it all around us. At the local level with the member who organizes the setting up and moving of risers to the member who chairs the local fundraiser. At the district level with the guy who organizes your contest/convention back stage crew to the person who gets all the rooms set up for the Leadership Academy. They are all leaders we encounter and upon whom we rely. Our membership is continuously seeking this leadership to help our Society grow, provide services we all want, and to improve the future of barbershop singing so that our children’s children’s generation has the opportunities for singing and fellowship that we have enjoyed. Unlike in previous decades, we all believe that we are the precipice of something uniquely significant, uniquely exciting, and uniquely exciting. In that belief you have all been elected by your fellow chapter members and are being supported by all of those members who hope for the best for the Northeastern District and BHS in the future. You hold that future in your hands today. It is a responsibility that would challenge the best of us and to which we charge you with the task of guarding our hopes and dreams. If you think this is a tall order, it is. If you think this is a difficult (nee nearly impossible) task, it is. If you think this has enormity not faced by past boards and leaders in the Northeastern District, it is. I always tell chapter presidents at leadership academies that they cannot tell people that they were elected because they missed a meeting, or because there was no one else, or because — … … … Well that is not true. They were elected whether for the first time or the fourth time, because their members firmly believed that they were the right leader for the time and the best that the chapter had. I challenge you to believe the same..... you are the right leaders for the time. You need to prove that you were the best the chapter had at this time. We believe that you will do just that. From President Ed Fritzen, to each board member, and to every committee chair you are viewed as a recognized leader at the district level. We look forward to many accomplishments by you, the board, in 2019. Whether a seasoned veteran or a new members of the board we look to you for new ideas, new perspectives, new energy. Each of you and the existing members at large need to provide focus on the issues that will face the District and your board always mindful of your members, past, present and future. As members of the board and as the chief administrative leaders of the staff represented by your membership, you will be challenged to stretch those resources you have to accomplish more and more as our future comes into focus. But above all and at every turning point never forget that we are working together toward “EVERYONE IN HARMONY” and I mean everyone. It is my pleasure to charge the new District board for 2019, that if you agree to provide your very best in thought, deed and effort to realize the greatest future of the District and are willing to do so in your official capacity as officers and board members in 2019, please say I DO. Then it is my pleasure, on behalf of all members of the District, to declare this board duly installed. Ed began singing barbershop harmony at the age of 16 winning an International Chorus Championship with the Dapper Dans of Harmony of Livingston, NJ in 1970. He has extensive experience in directing, having directed choruses in Kalamazoo, MI; Battle Creek, MI and more locally here in Norwich, CT. He has sung in numerous quartets having the won the1998 Pioneer District Quartet Championship with the quartet “Upstage Sound”. In the Northeastern District he was the baritone of the 3rd place District Quartet Medalist “REACTION” in 2005. He was a certified judge in the Singing Category for 14 years. He has served on the Manchester Chapter Board of Directors as Executive Vice President and President. Currently he serves as Associate Director of the Silk City Chorus and baritone section leader. At the district level he held the positions of Vice President of Contest and Judging in the Pioneer District, and here in the Northeastern District, he held the positions of Vice President of Music and Performance and Executive Vice President. He currently is the President of the Northeastern District. RECIPIENT of the SOCIETY'S "LABAR AWARD"
Mike Maino joined the BHS at the age of 10, encouraged by his Dad, Al, bass of the very popular quartet, The Neptuners, and his Mom, Jeanne, one of the founders of Harmony Inc. By the time he was a senior in high school, he was President of the Providence Chapter, had held every chapter office, competed in a quartet at International, and already MC'd over 50 shows. He is a former NED VP, and was a certified Stage Presence Judge. As an MC, his experiences include hundreds of shows, that have taken him from California to London, Seattle to Bermuda, and just about every major performance venue in between, including Carnegie Hall five times. He has been honored to MC many international contests for the Society, Harmony Inc., and Sweet Adelines Int., as well as being known as the voice of SAI's Coronet Club and was the only MC for the Bolton Landing Barbershop Festival. He has produced and MC'd the Block Island Barbershop Festival for over 40 years, and hosted the Society webcast for seven years. As a bass singer, he has won four NED Quartet Championships, with The Four Scores (1970), The Great Chord Conspiracy (1976), Prime Alliance (1988), and Road Show (2001), in 1980 Grand Stand Vocal Band made the Top 20 at International. His Senior Quartets, RING!, X-Men, and currently Trade Secret, have all won the NED's top score each time they competed. As a member of the Narragansett Bay Chorus (currently Music VP) he won the NED, and competed at the International Contest 13 times. Between the chorus and quartets he has been on the International competition stage over thirty five times. His voice is heard around the world on air, and the web, as an announcer for WCRI, 95.9, The Classical Station, where he is also the host of the long running Conducting Conversations, Company Break, and American a Cappella shows. Profession; retired Professor of Dental Laboratory Technology (22 years). Society Membership; a member of the Beverly, MA Chapter and a member of the Society since 1961. Chapter service: Treasurer, Bulletin Editor, Exec. Board Member, Show Chairman, Program VP, President (two chapters) total of 5 times. District service: YMIH VP, Financial Dev. VP, Division VP, Executive VP, President, and IPP. Society offices: Paired District Society Board Member NED/ONT, Chairman of the Member Services Committee, Chapter counselor, COTS faculty member (since 1998) Member of Founder’s Club, President’s Council . Society honors received: Chapter BOTY (two chapters) total of 3 times, NED Patriot Division BOTY (1997), NED District BOTY (1998) . A member of NEWCANEWENG (NED Honor Society) served as Chief and treasurer. 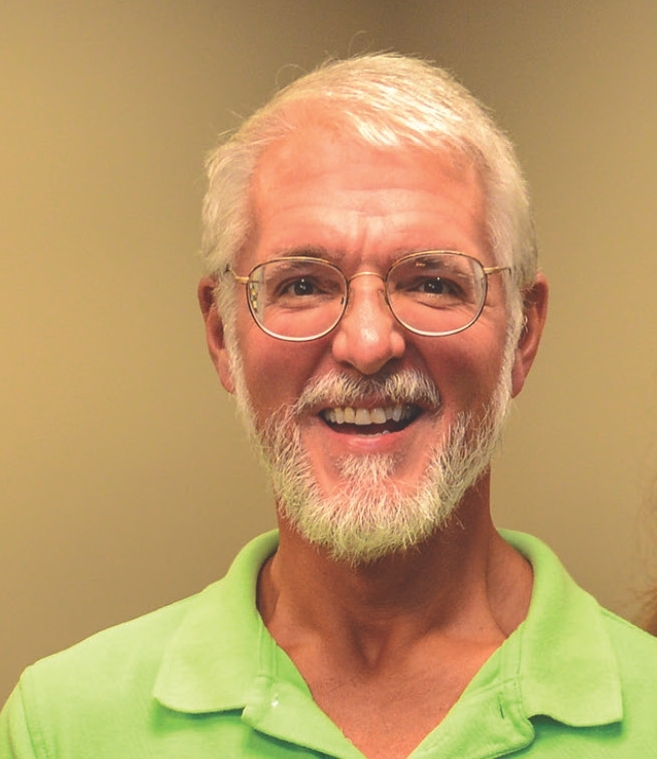 Chris has been an active member of the Barbershop Harmony Society for over 20 years. He is currently a member of the Burlington, VT Chapter. Chris has been a member of several competitive quartets over the years. Currently he sings with Chordination and they have fun preparing for District competitions and sing outs as frequently as possible. Chris also shares his hobby with his wife Lisa, although the "other couple" has moved to Florida, The Honeymooners still sing together whenever possible. Chris lives in Norwich, VT and when not singing, works as a pharmacist to pay the bills. David is a 58-year member of BHS. He has enjoyed a diverse and fulfilling career in the world of Barbershop. David was in the Society’s Judging Program for nearly 25 years. Upon leaving the Judging Program, he received the esteemed title and Award of “Judge Emeritus". He has been the Musical Director of five choruses. He has led two choruses to NED Championships and subsequent appearances at BHS International Chorus competition. He sang Baritone in a quartet which twice qualified for the Society’s International Quartet competition. He has won 24 District Chorus Championships with 3 different choruses. He has sung and competed in a number of quartets. He has coached a number of quartets and choruses. Currently, David is a member of VOCAL REVOLUTION. He is also the Patriot Division Manager and the Musical Director of the NED Seniors Chorus. Dan Falcone is the Vice President of Chorus Director Development. He has been directing the Hanover, NH chapter since 2003. He has attended Harmony University four times and has also enjoyed many of the director education opportunities offered by the district. He was the bass of the district champion quartet, Fast Track. In his personal life, Dan lives with his veterinarian wife, Meg, and five daughters in Plainfield, NH. He teaches biology and chemistry at Hanover High School. So he wears many hats in barbershop and in his life! 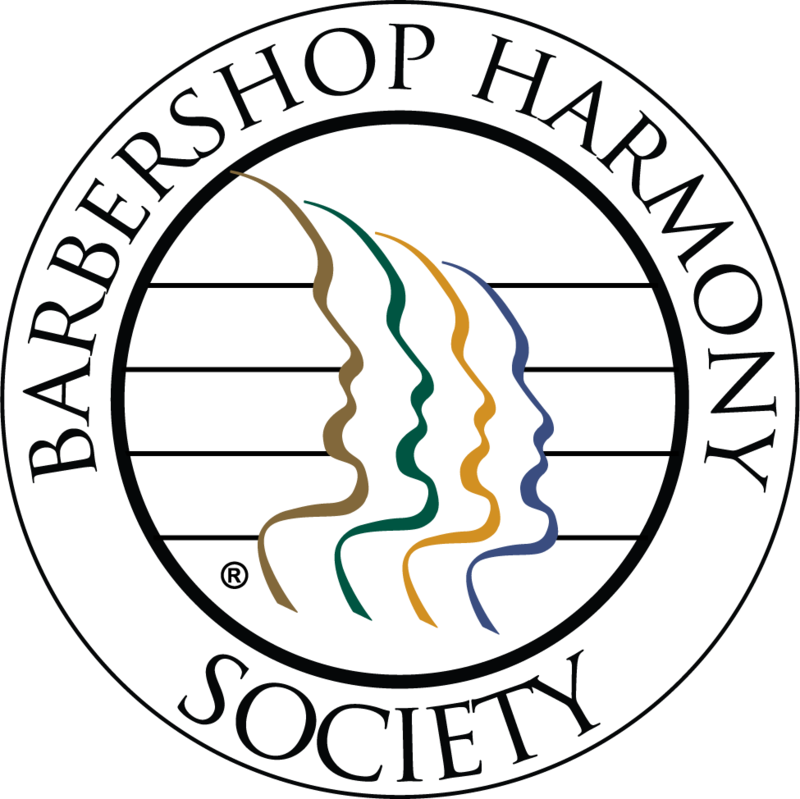 Alan Lamson, a 46 year resident of Manchester, CT, is a 37-year member of the Barbershop Harmony Society and is a member of the Manchester, CT and Alexandria, VA chapters. He is a twice past president of the Manchester chapter, was elected Barbershopper of the Year for the chapter twice, and Barbershopper of the Decade (1990s) for the chapter. He is a baritone in the chorus, the baritone of the 2005, 2006, and 2009 Yankee Division Senior Quartet Champions, Senior Momentum, and currently baritone of I Don’t Know Why, a 2016 District Quartet Contest qualifier. 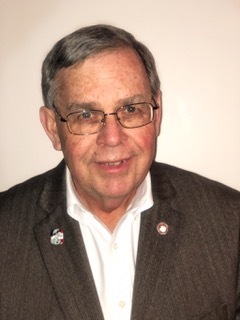 He was president of the Barbershop Harmony Society’s Northeastern District in 2003-2004 and, before that, served as its Executive Vice-president and Vice-president - Chapter Support and Leadership Training. He is the current Vice-president Contest & Judging elect. 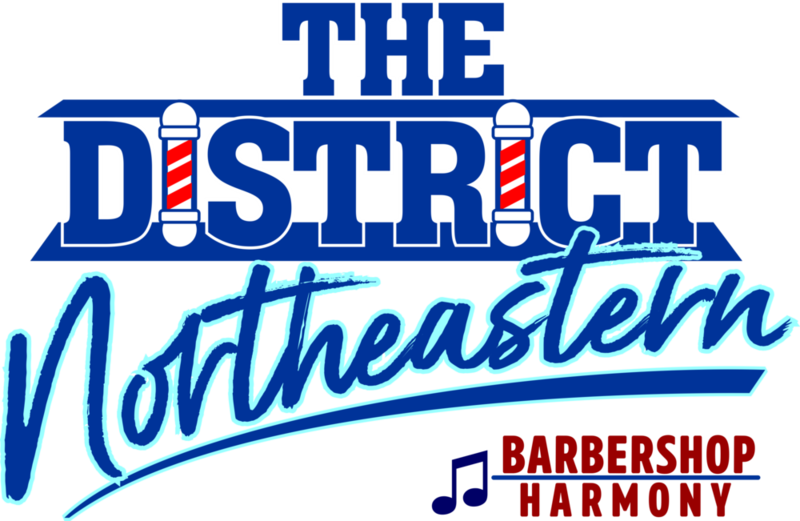 He was the 1999 Northeastern District Barbershopper of the Year. Alan has served as a Dean and Chapter President instructor in the Society’s Chapter Officer Training School and Leadership Academy programs, selected as the Society’s Outstanding COTS Coordinator in 1998, is a Contest Administrator in the Society’s contest and judging program, has served as staff to the Northeastern District’s Harmony Explosion Camp, has served on the Society’s International Board of Directors for eight years including serving as the Society’s President from 2011-2012. He is chairman of the Society Nominating Committee. In 2016 he was selected to be a member of the Society’s Leadership Operations Planning Team. He was also Interim CEO for the Society in 2012. Alan is a member of Newcaneweng, the Northeastern District’s honorary association. He still resides in Manchester with his wife, Janet. They have two sons and five grandchildren. Alan recently retired from FLB Architecture & Planning, Inc. in East Hartford, CT.
First sang in a barbershop Octet in the early 1960's in High School. Joined the Danbury Chapter in 1993 and became the annual show chair and the Chapter VP of Program and music, in 1996 I became President and held this until 2009. I became the Yankee Division Manager and in 2010 joined the events team after chairing the Yankee and Mountain Contest and convention in Danbury. I continued as Yankee Division Manager and became the District VP of Leadership and Chapter support. When I became the DVP of Events for a while I held all 3 positions at the same time. Currently the Vice President of Events for NED. Steve Salamin joined barbershop harmony halls in 2002 after too many years of not singing, having last sung 20+ years prior in a college men’s glee club (WPI). He is a 18-year member of the Keene, NH chapter with 11 MON, and has held the Chapter VP of M&PR and other positions - and is an active assistant/consultant for marketing to this very day. He achieved Chapter BOTY in 2003 and has headed highly successful Singing Valentine programs for many years. Steve has worked in marketing/advertising for over 33 years and operates his own business specializing in business development, marketing and public relations, while freelancing as a graphic designer, print production specialist and consultant. Steve has been the CFO of several major local business. In 2005, Steve won BHS/PROBE's First (and last) Annual Poster Contest in 2 of 4 categories, he edited and published the NED’s Nor’easter bulletin/newsletter for 4 years, received the NED District Barbershopper of Distinction award in 2007 and NED District BOTY in 2013. You can find Steve at District events, usually behind the viewfinder of his camera – capturing those performance moments. You’ve seen some of Steve’s creative work on the NED web site. He's a stickler for detail and GOOD information and communications! You are welcome to join his team anytime. Please! • Has served the chapter board in the same membership capacity since 2014. I would like to take this opportunity to introduce myself to you. I have been a member of the society for 42 years and have been very active in the South Shore Saints, a small chorus just south of Montreal where I am presently the chorus director. I have held every position on the board of directors and I have run more than a few shows. I have also competed in quartets in the Mountain Division and NED. On a personal note, I am very active at my church and I am a member of the St. Lambert Lions Club. In my spare time, I give voice lessons at one of the schools during a lunch program. These are the students that are given the opportunity to attend HX Camp in August. Niall Trimby is the consummate barbershopper, with accomplishments both administrative and musical. It’s important to note that none of those accomplishments would have been achievable without the absolutely unwavering support of his wife Peggy. Niall has been a Laconia NH Barbershopper for most of his 25-plus years. In the last dedicated himself to the Nashua Chapter, while never turning his back on Laconia. Niall has served 10 terms as President of the Laconia Chapter while serving for ten years as the Nashua Chorus Manager. He’s been given Barbershopper of the Year honors in both Chapters. Many of us have enjoyed the resurgence of the Alton Bay Jamboree since 2015. We owe a debt of gratitude to Niall for that as well, as he served as co-chairman of the Alton Bay Barbershop Jamboree Rejuvenation Committee for all of these years.